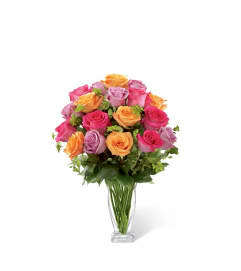 The FTD® Sweet Devotion™ Bouquet by Better Homes and Gardens® brings together roses and stock stems to design a wonderful wish for perfect happiness for your special recipient. 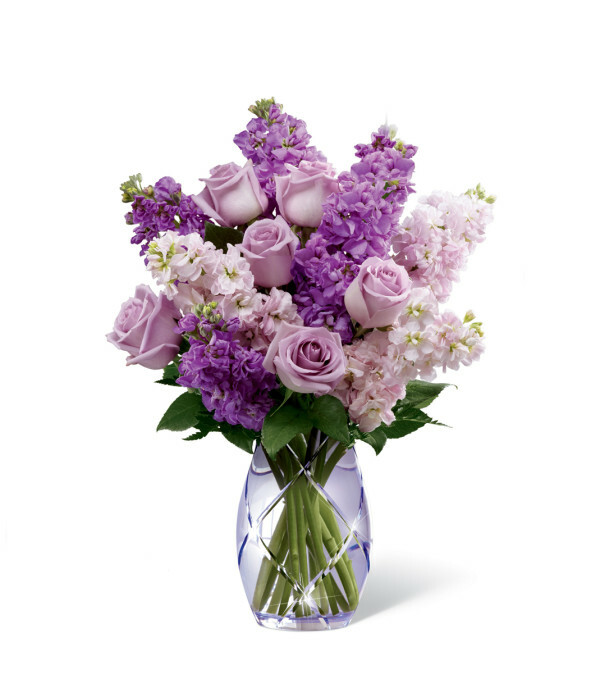 Lavender roses and stock are accented with pink stock and lush greens to create an amazing flower bouquet. Lovingly arranged in a designer lavender etched glass vase, this flower arrangement offers them a beautiful expression of your sweetest sentiments to celebrate Mother's Day, extend your happy birthday wishes or to help celebrate the arrival of spring.